DAVID LE/Staff photo. 3/5/15. 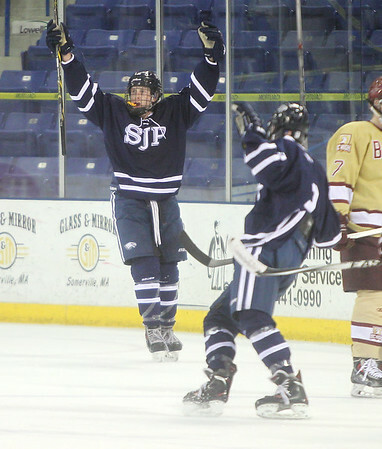 St. John's Prep junior Brian Groom celebrates his third period empty-net goal to seal a 5-2 win for the Eagles over BC High.